Siam Commercial Bank recently received world class honors for its lifestyle banking leadership at Global Finance’s World’s Best Digital Bank Awards 2018, where the bank won awards forWorld’s Best in Social Media Marketing and Services and Best Consumer Digital Bank for Thailand. Global Finance is the UK’s leading financial and banking magazine. The achievement recognized SCB’s outstanding social media and digital banking services, which offer satisfactory financial experiences for every lifestyle. The awards mark yet another successful milestone in SCB’s quest to become Thailand’s Most Admired Bank. 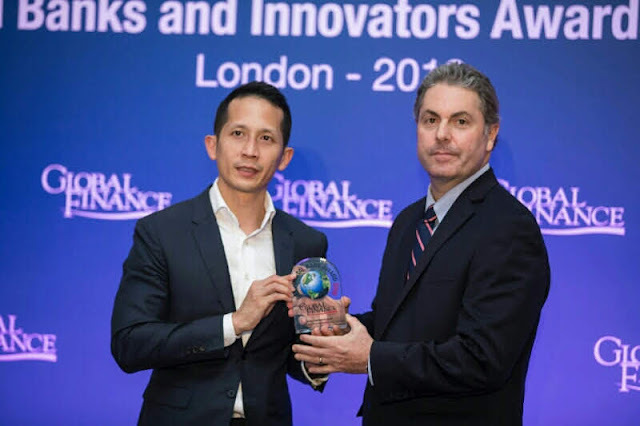 SCB was represented at the award ceremony held recently in the UK by Mr. Tana Pothikamjorn, First Senior Vice President of Digital Banking.